The objective of this paper was to analyze the importance of Fiscal responsibility law as normative instrument on the control of public finances. We note also that the origin of the LRF in Brazil was based on experiences of the European Union, the United States of America, and primarily, of New Zealand. The methodology used was based on a bibliographical selection of books, dissertations, and Web sites about that subject. She came to change the bureaucracy of public administration by a managerial administration, being able through this, make the public service more effectively to society by encouraging the development and economic expansion and the Socialist country. Keywords: Fiscal responsibility law. Public Administration. Society. The law of Fiscal responsibility comes to meet the aspirations of brazilian society, which long ago calls for a transparent public administration, aimed to meet the needs and goals of the citizens, coated with efficiency and effectiveness and the results may show a high quality performance. The present paper aims to analyze the importance of Fiscal responsibility law as normative instrument on the control of public finances. The complementary law No. 101, adopted on 4 May 2000 and soon called Fiscal responsibility law, where that law had for scope, as its name indicates, is the implementation of a policy of responsible fiscal management, combating the two main sources of waste of public resources denounced by the general population: first, the overspending with personal expenses and Second, excessive expenses with debt service payment. Together the two costs little was left for capital expenditure, notably for the investment. The Fiscal responsibility law, complete 12 years of its promulgation. This is one of the most important legislation intended to improve Public Administration, with a view to its innovative nature, to create the concept of accountability in fiscal management. The theme was addressed from the perspective of the law of Fiscal responsibility, has set a new milestone in the field of financial activity and national budget, closing a new round of budget irresponsibility, in three spheres of our Federation. It is, in effect, a law that has, as a primary objective, a difficult mission: to change the culture national budget, crumbling from decades of reckless use of the public purse. The methodology used for the drafting of this article was based on information collected through the bibliographic analysis and selection of books, magazines on the subject, dissertations, and Web sites. Although innovative and adapted to local needs, the Fiscal responsibility law of Brazil sought inspiration also in recent international experience. Throughout the Decade of 90, some countries have undertaken successful initiatives in order to prevent the emergence of large public deficits and excessive levels of debt. Highlights, in this respect, the lessons provided by the experiences of the European Economic Community (1992), of the Budget Enforcement Act of the United States (1990) and Fiscal Responsibility Act of New Zealand's (1994). Are still very recent initiatives; It can be said that in the years 90, the world began to wake up to fiscal responsibility. With regard to experiences of other countries, the LRF incorporates certain principles and standards, as we shall see below. The models were taken as reference for the formulation of the Fiscal responsibility law are: the European economic community, from the Treaty of Maastricht; the United States, whose standards of discipline and control of central government spending led to the edition of the Budget Enforcement Act, coupled with the principle of "accountability"; and New Zealand, through the Fiscal Responsibility Act of 1994. In the case of Europe, the starting point is the Maastricht Treaty of 1992, which adheres to the principles of a Confederation and establishes criteria for countries wishing to have access to the common currency. In protocols within the framework of the European Monetary Union-EMU were set goals, not just tax (budget deficit and public debt), but macro-economic (inflation rate, interest rate and exchange rate). In 1990 the United States adopt the BEA-Budget Enforcement Act which is legislation that covers only the federal Government because, barring some isolated case of mismanagement in American State, the serious fiscal misfits were almost exclusively recorded in the federal Government. The explanation may lie in the fact that each unit of the Federation has its own rules, generally tougher. There are States where it is prohibited to the ruler, by law, make debt. -Includes only the Federal Government-each unit of the Federation has its rules. -Fixed surplus targets Congress and spending control mechanisms adopted rules applications by BEA-Budget Enforcement Act. -Pay as you go-budgetary compensation: any act which causes increased costs must be offset by reducing other expenses or increased revenues. Unlike the experiences of the United States and Europe over here examined, on New Zealand's Fiscal responsibility law, 1994, transparency overlays to the rigidity of the rules. The New Zealand experience was an important reference for transparency of the Fiscal responsibility law. Although a chapter of the law have been devoted to this subject, it can be said that throughout the text the rules appear connected to some sort of report, statement or public hearing. The most striking example is the report of Fiscal management. Inspired by the Declaration of Fiscal responsibility, of New Zealand, to be published in the middle of broad public access, including on the internet, every four months. Is signed by the heads of every power, every entity of the Federation, which must say whether are fulfilling the limits that the law of Fiscal responsibility establishes for debt, people, operations and credit guarantees. After a succession of failed stabilization programs, since the Cruzado plan (1986) to the Collor plan (1990), the Real plan, a successful monetary stabilization program since 1994, had rid the Country of hyperinflation and brought achievements of which one would not give up. Attempts to promote fiscal adjustment, however, often covering the short term. Political cycles, the little tradition of planning and the intertemporal orçamentário1 process deficiencies contributed to worsen the misfits. The institutional context of financial decentralization and political and administrative autonomy, in turn, reduced the possibility of effective controls conducted by the Federal Government and neutralized its austerity efforts. The situation of lack of control of the finances of States and municipalities was such that it led to a crisis for a while fiscal and monetary. The Fed States a growing trajectory of financing costs by public banks, operating virtually as a local autonomous central banks. Monetary policy, in turn, suffered from disturbances of the recurring problems of financial institutions controlled by State Governments, especially those of large enterprises, which received a large volume of deposits from the public. This fact, forced the Central Bank to bail out the institutions with extraordinary frequency to avoid situations of insolvency and/or allow scrolling of the State debts. Let's see, the vicious circle was reinforced by the recurring history of debt renegotiations with the Union States, only broken in 1996, when it held a definite and comprehensive process of debt renegotiation, in radically different molds of the past experiences. The Union became the creditor of the debt and the twenty-four States and the Federal District who signed the agreement have undertaken to write off his debt in 30 years, paying monthly installments equivalent to a fixed percentage of your actual net revenue, provided for the correctness of the balance due for the application of the IGP-DI plus 6% interest. The Federal Constitution of 1988 had already provided for in article 163, a law which would set the guiding principles of public finance in Brazil. After ten years of the promulgation of the Constitution, this article has not yet been regulated and the constitutional amendment of administrative reform, adopted in June 1998, established a deadline of 180 days for the Executive power he sent a proposal to the legislature. Thus, in September 1998, began to build the proposed the law of Fiscal responsibility, with the backdrop of the tax described as inspiration and diagnosis the international experiences described in the next section. The preparation was coordinated by the Ministry of planning, budget and management, with the decisive participation of BNDES, and incorporated contributions from different ministries and federal agencies. 2 this process of inner seam of the text was necessary because of the deep cultural transformations. Although some had the false idea that the law would only focus States and municipalities, it was found that the proposal required the Federal Government institutional and cultural transformations heavy, besides requiring very operational work for its implementation. And thus the complementary law No. 101, was approved in May 2000 04 (LRF) and published in the Official Gazette on 5 May 2000. The Fiscal responsibility law came up with the purpose of changing the bureaucracy of public administration by a managerial administration, being able through this, make the public service more effectively to society by encouraging the development and economic expansion and the Socialist country. This complementary law sets standards of public finances geared toward accountability in fiscal management, with amparo in chapter II of title VI of the Constitution. first responsibility on fiscal management presupposes the planned action and transparent, which prevent risks and correct deviations able to affect the balance of public accounts, upon fulfilment of goals of results between revenue and expenditure and the compliance with limits and conditions concerning the resignation of recipe, generation of staff costs, social security and other , debt securities, and credit operations, including anticipation of revenue, granting of guarantee and registration in remains payable. Initially, why do you say that the LRF is a complementary law? The very name sets, that is, norms that complement (complete) the constitutional text, since expressly laid down in the Constitution itself. Have their own features, for example, cannot be edited out of the cases expressly provided for in the Constitution. (FRANCISCO RAMDAS NAIK, 2005, p. 131). Thus, LRF, as complementary law, has the Mission of regulating matters that the Federal Constitution (CF) transfers explicitly for it, as laid down in articles 163 and 169. In detail, we will explain what is implied in paragraph 1 of that PROVISION. A planned action and a transparent Public Administration, will have to be a planning of its activities to improve the functioning of the administrative machine. Those responsible are the agents directly and democratically elected politicians by society have a huge responsibility to serve the interests of the collective. Risk prevention, after real problems identified with its main causes, the public Manager will have to take urgent action to prevent the aggravation of the problem. The correction of deviations would fix the main causes identified in relation to the objectives of the Public Administration and to act efficiently and effectively in their actions. It is important to note that the new law sought to give priority to the planning. And well acted the legislator therefore planning activity has great importance to avoid making facile spending, of convenience, that arise in everyday life. Thus, according to section I of the pluriannual plan of LRF, for that article 3 was Vetoed by the President of the Republic? Although this article has been vetoed, the multiannual plan provided for the attachment of Fiscal policy, which should indicate the multi-annual objectives and goals of tax policy intended by the duration of the plan, in order to demonstrate its compatibility with the assumptions and goals of national economic policies and social development. The veto, however, "does damage, because the major contents of the device will appear in other statements imposed vetoed by LRF as the Fiscal Targets attachment to the LDO, containing more accurately, goals for five variables – revenue, expenses, results and primary, and public debt – for three years, specified in current and constant values". (1 Notebook IBAM, p. 24). In section II of the said LRF refers to budget guidelines law, sets the goals and priorities of Government. The LDO, in its original conception, basic function was to guide the preparation of annual budgets, in addition to establishing the priorities and goals of the Administration, in the subsequent financial year. According to the doctrine, the LDO should establish the parameters required for the allocation of resources in the annual budget in order to ensure the realization of the goals and objectives contained in the PPA. It is, therefore, an instrument that works as a link between the PPA and the annual budgets, aligning the guidelines to be estimated financial Plan for a given exercise. And the Annual Budget Law (LOA) is the instrument which provides fixed income and public spending, exposes the economic policy – financial and programme of work of the Government and sets the flexibility mechanisms that the Government will use. The Annual Budget Law, referred to in article 165, paragraph 5 of the Federal Constitution, is the most important instrument of budgetary and financial management of the public administration, whose. In accordance with article 5 of the LRF, the LOA will demonstrate that are compatible and suitable for the Attachment of Fiscal Targets, analyzed in the previous session, and, by monitoring, the statement of effects on revenues and expenses arising from amnesties, exemptions, allowances, etc. In this case, the LOA, being guided by the LDO, must keep the goals set in this. That's what noted, yet, in that the contingency reserve LDO shall provide to attend the expenditure laid down in the annex of Tax Risks. The content of chapter III, which deals with the prediction and the collection of revenue, including the theme of renunciation of the revenue, allows to infer the implied claim of the LRF to create dynamic forms to manage the revenue of the ones her subordinates. The institution, prediction and the effective collection of all taxes is highlighted by the text of the LRF as essential requirement of accountability in fiscal management. The non-compliance with this rule will result in the immediate suspension of voluntary transfers to the public entity to show negligence on this issue. For his prediction, in addition to complying with the technical and legal standards and its calculation methodology, revenue estimates must be accompanied by statement of its evolution, in the three previous years and the two following that to which they refer. Remains also the commandment that only constitutional admits reestimativa, by the legislative power, in cases of errors or omissions, technical or legal order. The art. 13 of LRF determines that the Executive Branch should, until thirty days after the publication of the annual budget, the breakdown of revenue in bimonthly collection targets, telling you which measures will be adopted to combat tax evasion, the recovery of the debt and the executable through administrative credits. II-Be accompanied by compensatory measures in the period mentioned in the caput, through the revenue increase, from lifting rates, broadening of the tax base, increase or create tribute or contribution. first the disclaimer includes Amnesty, remission, allowance, credit, granting exemption assumed character does not change the General portion or modification of calculation basis involving reduction of taxes or contributions, discriminated and other benefits that match the different treatment. 2 If the Act of granting or extending the incentive or benefit referred to in the caput of this article during the condition contained in item (II), the benefit only takes effect when implemented the measures referred to in the mentioned item. II-the cancellation of debt, the amount of which is lower than that of their collection costs. 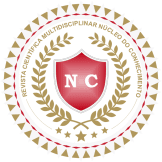 The waiver means giving up the right to collect a tax credit (in whole or in part), manifested by the Entity that has competence for establishment of the tribute. Is by granting tax breaks that generally operates the resignation of recipe. (SHERRI NOGUEIRA BROLIANI, 2001, p. 9). It's always good to remember that the waiver only happens when the recipe was expected, estimated or predicted, since the costs were fixed based on that amount. If, however, the recipe was not computed, was unexpected, was not estimated, not about waiver, does not apply the standard of art. 14, or only for the impact report, already required by the Constitutional Charter (art. 165, para. 6, CF). The complementary law couldn't prevent what the Constitution allows. To assign tax jurisdiction to the Political Entity to establish the tribute, the Constitution also assigns full legislative powers not to collect it (exemption), to collect it in part (visa waiver, Amnesty and partial remission), to extinguish the credit (reference), or to charge him with deductions (statutory credits or other benefits). Thus, the resignation of recipe is admitted, but requires the LRF transparency in his concession, and quantification, so that society examine the beneficial effects and social renunciation can generate, and also to ensure that tax incentives do not affect the other constitutional obligations aimed at the common good. We will treat this chapter IV just expenses on personnel, constitute an item of greater weight in any public budget. Means as personal expenditure: the sum of the expenses of the entity of the Federation with the active, inactive, and pensioners, elective mandates, relative positions, roles or jobs, civilian, military and members of Can, with any remuneration species, such as salaries and benefits, fixed and variable, allowances, proceeds from retirement, retirement and other pensions, including additional, gratuities, overtime and personal advantages of any nature as well as payroll taxes and contributions collected by ente social entities. Summing up the above-mentioned definition, personal spending are all permanent spending, directly or indirectly, with labor. The following will be presented succinctly definitions than come to be the active, inactive, social security contributions and contributions collected by between the entities and the costs of judicial decision. The assets include the holders of elective mandates, positions, jobs and public functions, be they civilian or military. The sleepers comprises retirees and pensioners who are also part of the total spending on personnel. The social security contributions and contributions collected by Ente pension authorities, too, are part of the amount of the total expenditure on personnel, understood as all the labor and social security costs that are federal entity's obligation to collect the General Social Security Scheme. With respect to the limit with Personal spending the Federal Constitution of 1988-CF Art. 169 it is on the subject, where it says: "the active and inactive person expenditure of the Union, the States, the Federal District and the Municipalities shall not exceed the limits established by complementary law". Supplementary law No. 101/2000 fills the gap left by the Federal Constitution by regulating the Art. 169, adopting as a control parameter of Personal expenditure percentage setting on the Current Net Revenue. The Art. 18, § 2° refers to this parameter saying that, "the total expenditure on personnel will be ascertained in addition to held in the month in the reference of the eleven preceding, by adopting the accrual basis. "Using the same reasoning above with the expense, the current net revenue and sharp as the Art. 2, § 3° adding the revenue received in the month in study and in eleven months following that date, excluding duplicates. 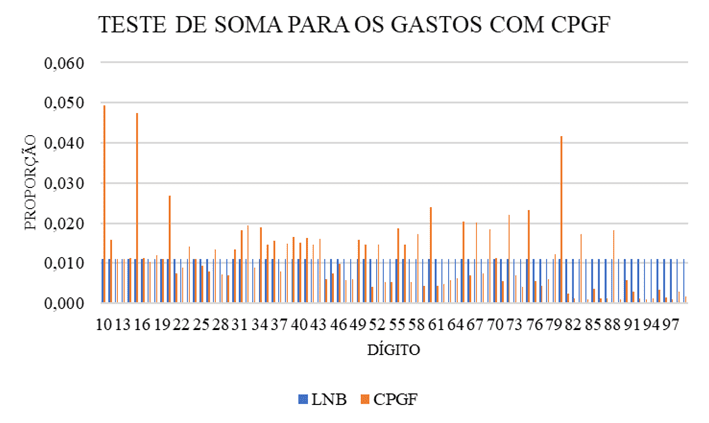 The LRF establishes three different limits related to Personal expenditure, as follows: Ceiling, fluctuates according to the entity or body; Prudential limit, corresponds to 95% of the value of the upper limit; and the Prudential Limit Pre, which corresponds to 90% of the ceiling. The percentage of Current Net Revenue for the maximum limit imposed on completion of personal spending are different between the governmental entities. But the mounting parameters are the same. According to the Art. 19 of the LRF the Union cannot exceed the maximum limit of 50% with total spending on personnel. This limit corresponds to all the expenses related to personnel expenditure in the three powers, including the Tribunal de Contas da União-TCU and Public Ministry of the Union-MPU. The distribution of the limits laid down by Art. 20 of the same law are the following: legislative power over 2.5%, TCU Judiciary 6%, 40.9% executive power and Public Ministry of the Union 0.6%. Analogous to the Union States also obey limits with spending on personnel Art. 19 of the LRF 60% fixed. This limit is passed on to the powers as follows: legislative branch more TCE 3%, 6%, Judiciary, Executive Branch 49% and 2% States Prosecutors. Similarly the Union and local States also meet the limits, which in the case of staff Expenditure may not exceed the maximum value of 60% of the current net revenue set out in Art. 19 of the LRF. And the Art. 20 the same law discriminates the apportionment of this percentage with the municipal ball as follows: Legislature and municipal courts of Auditors 6% and 54% executive power. Supplementary law n° 101/2000 brings in your text control and impose drastic measures a range of limits. Among them the most brought impacts on administration were the limits imposed on staff costs, because, before the LRF to public sector payroll was swollen. From the promulgation of this law the managers were forced to revise their concepts and learn to live with these limits. The Fiscal responsibility law, which celebrates 12 years, modernized Brazil's financial administration. The consensus built around her changed the culture of the country, which today requires explanations, accounts open and transparency. This anchor was not built at once. It was built in stages. Their elaborations were based on previous experiences of the European Union, USA and New Zealand. In all States and Municipalities of the country, there is the idea of fiscal responsibility. Being discussed in 12 years the complementary law No. 101, caused much panic in public managers, where terrified for the accuracy of the law, stridently trying to change it, not wanting to see short-term advances within the framework of the national public administration. A few years before its promulgation, had been made a restructuring of the debts of the States and municipalities that allowed stem the great vision of spending that occurred through the State banks. With the advent of the LRF has provided a new vision in promoting greater social justice in many different plans. She emerges as a powerful instrument of public policy. If we live in a democracy, if we believe that, in a democracy, decisions must follow certain principles, and that these political decisions are influenced by the will of the majority, it is important to then begin to inform more people about the consequences of the quality of public spending. GRANDSON, Francisco Bruno. The Federal Constitution: academically explained. 3. Ed. São Paulo: Brazilian Legal Publisher, 2005. IBAM, Notebooks IBAM 1. Comments the Fiscal responsibility law. Rio de Janeiro: BNDES, 2001. Nunes, Selene Peres. Nunes, Ricardo da Costa. The Budget Process in the Fiscal responsibility law: planning instrument. Available at:< http://www.uberaba.mg.gov.br/portal/acervo/orcamento/boletins/O_Processo_orcamentario_na_LRF_instrumento_de_planejamento.pdf >. Access in: 7/2/2012. BROLIANI, Jozélia Nogueira. Dissertation: waiver and the Fiscal responsibility law. Available at: www.nogueiraecherubino.adv.br/publicacoes/pub8.pdf. Access in 7/4/2012. Complementary law nº. 101, 04 May 2000. (Fiscal responsibility law). 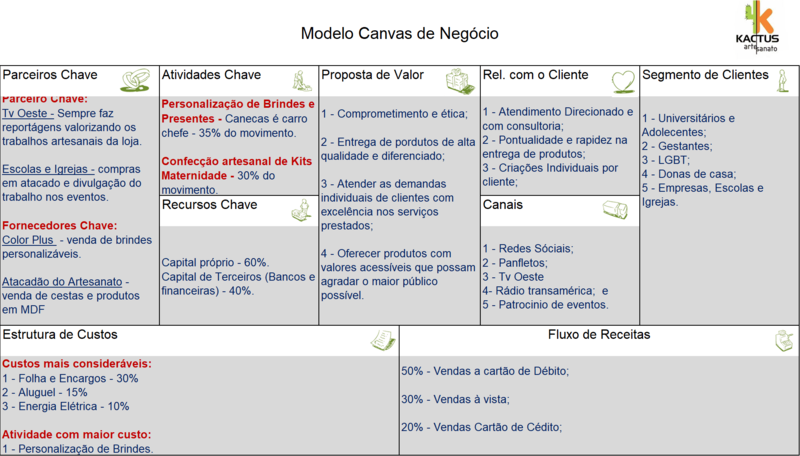 Available at: http://www.planalto.gov.br/ccivil_03/Leis/LCP/Lcp101.htm. Access in: 7/4/2012.